Copa America 2016: Can Lionel Messi lift the title with Argentina? 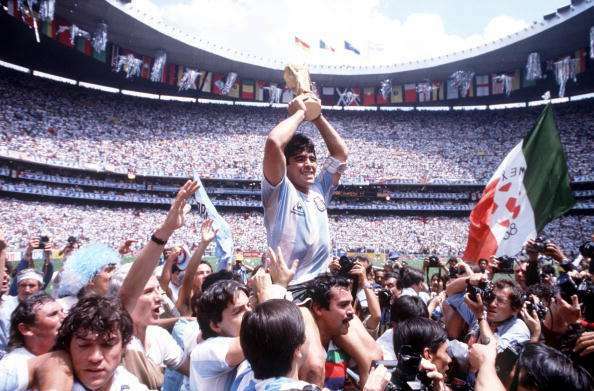 It's been thirty years since I saw my beloved Argentina lift a trophy. Beloved I say, because my introduction to the game of football started with one Diego Maradona in the summer of 1986. India’s national television channel (Doordarshan), or should we say the only television channel we got then, televised Mexico 1986 live as El Diego lifted the World Cup. Four years later, a substandard Argentinean team, led and managed by the 1986 combination - Diego Maradona and Carlos Bilardo respectively - defied odds to reach the World Cup Italia 90 finals. They almost took the finals to a penalty shootout, but inept officiating saw West Germany being granted a penalty kick off a Rudi Voeller dive, towards the dying minutes of extra time. That was that. Andreas Brehme scored. Doordarshan didn't cover Argentina's Copa America triumphs in 1991 and 1993. The Maradona era ended tragically (and irresponsibly) as Diego was kicked out of the 1994 World Cup after failing a drugs test. With that, Argentina's foray into tournament deciders came to a halt. USA 1994 ended with a thrilling defeat (2-3) to Romania in Round of 16, France 1998 ended with a thrilling defeat (1-2) to Netherlands and to one of World Cups finest goals, scored by Dennis Bergkamp. Argentina were billed favourites for World Cup 2002 & 2006. Shockingly they crashed out in the group stages in 2002, and cruelly to their World Cup nemesis Germany in 2006, to penalties, at the quarter finals stage. Diego Maradona returned to the World Cup stage as manager of the World Cup 2010 Argentina squad. But just like four years ago, they were dumped out by Germany at the quarter finals stage - this time a 0-4 walloping. In between Argentina made to the finals of two Copa America events (2004 and 2007) and one FIFA confederations cup event (2005) - each time losing to another nemesis, Brazil. 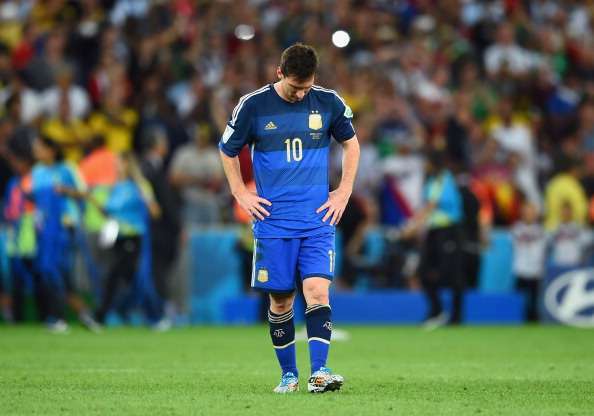 Argentina made to the finals of Brazil 2014 World Cup and as luck would have it, faced Germany yet again. Unlike in 2002-2010, where gifted squads floundered; 2014 started an era where Messi was leading a not so gifted squad to finals. Argentina missed chances and tactical acumen as Germany lifted the Jules Rimet trophy in 2014, courtesy a lone goal deep into extra time. The Albiceleste made it to the finals of Copa America 2015, hosted by Chile. The hosts too made it to the finals and gallantly braved all Argentinean attacks for 120 minutes, going on to lift the trophy in penalty shootouts. Hence it’s been a long frustrating wait to see my beloved Argentina lift a trophy. I don't really join the public demand that Messi needs to win with the national team to prove his greatness. My wish is more from the fact that a nation with gifted footballers, generation after generation deserves a trophy. Argentina face defending champions Chile in Sunday night's (telecast Monday early morning across Asia) final. Chile are the same team whom Messi and co have beaten twice in the last three months - once in the ongoing Copa America Centenario group stages and early this year in World Cup Qualifiers. Argentina have enjoyed a solid Copa America 2016 - scoring 18 goals and letting in just 2 inconsequential goals. Inconsequential, as both goals (Chile scored in injury time and Venezuela scored in 70th minute when the Argies were leading 3-0) were scored when the match result seemed done and dusted. Manager Tata Martino's men are on a ten game unbeaten streak scoring 24 goals and letting in just four. Unlike the previous decade, this Argentinean team doesn't have a fancied line up but have it in them to do their job. It's a myth that Argentina are a great team and Messi must win with them. In defence, Nicolas Otamendi has had an inconsistent year with Manchester City; ditto Marcos Rojo with Manchester United; Funes Mori (Everton) and Gabriel Mercado (Monterrey) are unknown commodities to even Argentina's global supporters. Midfielders Lucas Biglia (Lazio), Augusto Fernandez (Atletico Madrid) aren’t big names. Ever Banega won his second consecutive Europa league trophy with Sevilla recently and is fairly known to La Liga football fans. Napoli's Gonzalo Higuain (the villain of Argentina's performances in losses at WC 2010, 2014 and Copa America 2015) and his 38 goal exploits are only known to Serie A fans and Nicholas Gaitan (Benfica) is hardly known beyond Portuguese League. It’s only the Barcelona stars (Lionel Messi and Javier Mascherano), Paris Saint-Germain’s (Angel Di Maria) and EPL star stars(Sergio Aguero and Erik Lamela) who make this team look greater than what it is. However, having just world class attacking players don’t necessarily make a great team. Kun Aguero, Di Maria, Messi and Lamela’s roles in this Copa America have been very limited – either due to injury or problem of plenty for one position. So unlike a France, England, Spain, Germany or Belgium - who have multiple jersey selling players, for each position and are known to global audiences; this Argentinean team has their share of fairly unknown players. Hence this team has all ingredients to flounder and gift away yet another trophy. It will come down to Lionel Messi to inspire, lead and score. Messi was injured at start of the tournament but came on vs Panama to score a magical 19-minute hat-trick and again netted in the quarter and semi-finals. On paper, Argentina don't seem reliant on Messi - even if you minus Messi's goals, they would still be in this final. But I for one know, Argentina are masters at choking on the big stage. Some of their Copa America defeats to Brazil or last World Cup's loss at Brazil provide enough evidence. They will need Messi, luck, defensive solidity and midfield high percentage possession to aid a trophy capture finally. It’s been 30 long years since I last witnessed them lifting a cup and running all over the pitch joyously. I pray it happens on Sunday night, to bring belief and confidence to a team, that they can indeed win it on the big stage.